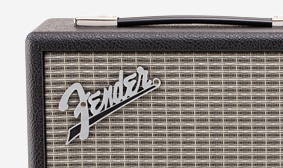 For over 70 years, the world's most renowned music professionals have trusted Fender. Our legacy is built on a never-ending commitment to making life better for artists and players by matching purposeful innovation with premium craftsmanship. We know crystal-clear, powerful sound better than anyone else. Balancing power, portability and performance, the Indio Bluetooth stereo speaker easily outperforms other products in its class. Designed in Southern California by the same group that produces our legendary amplifiers, the Indio takes its aesthetic cues from these classic forms. 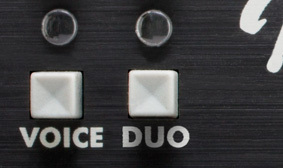 With its amp-style knobs and toggle switch, textured vinyl covering and speaker grille cloth, the Indio will easily match any décor. The onboard lithium-ion battery gives you up to 20 hours of playback time, and can also charge an average smartphone to full charge more than twice, making this device even more powerful. Fender Duo wireless integration makes it possible to daisy-chain two Indio speakers wirelessly, creating a true stereo system with a wide soundstage that fills the room with high-quality Fender sound. 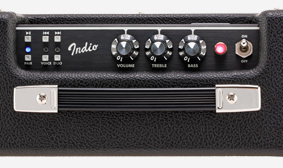 Designed in Southern California by the same group that produces our legendary amplifiers, the Indio takes its aesthetic cues from these classic forms—amp-style knobs and toggle switch, textured vinyl covering and speaker grille cloth—all the authentic appointments are there. Indio’s 60W quad-driver design enhances your listening experience with two woofers and two tweeters; each was carefully selected and precisely oriented for pure, natural Fender sound. Our Duo wireless system allows you to daisy-chain two Indio speakers wirelessly, creating a true stereo system with a wide soundstage that fills the room with high-quality Fender sound. Six dedicated buttons allow you to easily change tracks, play/pause music and even control your smartphone’s digital assistant without removing it from your pocket and unlocking it. 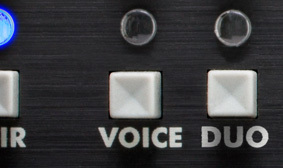 The dedicated VOICE button makes it easy to start and end calls with one finger. The onboard mic with echo cancellation ensures your calls sound as pristine as your tunes. The USB port lets you access the onboard lithium-ion battery to charge an average smartphone fully more than twice. The battery also gives you up to 20 hours of playback time. Please try again later - we are experiencing technical difficulties. Copyright ©2019. 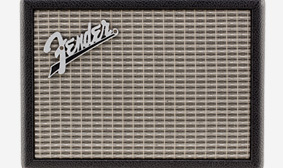 Fender Musical Instruments Corporation. All Rights Reserved.